Twenty five men have been referred to the criminal court in Minya on account of charges of burning and looting the houses of Copts in the village of al-Karm in Minya, some 250km south of Cairo, last May. Four of the defendants were additionally charged with stripping and beating the elderly Coptic woman Suad Thabet in the same incident. The incident goes back to last May when a rumour spread in the village of al-Karm to the effect that the Copt Ashraf Attiya was having an affair with the Muslim woman Nagwa Fathy; both in their early thirties, married and have children. Since, according to Islamic teachings, a Christian man may in no way liaise with a Muslim woman, tensions rose in the village and Attiya took his family and fled. Two days later a group of 300 armed men attacked the houses of seven Coptic families, plundered them and set four of them on fire. They then broke into the home of the Copt Ayad Attiya, Ashraf Attiya’s father, beat him up and dragged his 70-year-old wife Suad Thabet into the street. To shouts and cheers, they stripped her naked and beat her, defaming her before the large crowd. 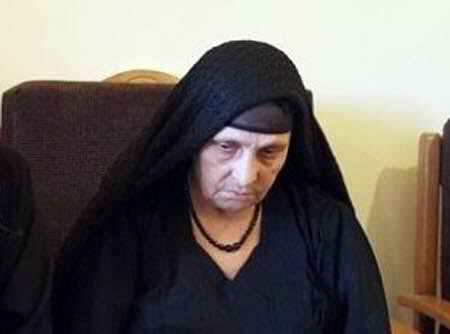 The incident, especially the stripping and beating of Ms Thabet, angered Egyptians at large, and Copts in specific. It led to intervention by President Sisi who personally called Ms Thabet and promised her retribution. Both the Minya Security Chief and Governor were later replaced. Four of the 25 defendants are charged with stripping Ms Thabet of her clothes and beating her; all are charged with mobbing, arson, destroying and looting property, burning a motorcycle, and firing gunshots. Among the 25 detainees who will be referred to trial are Nazir Ishaq Ahmed who is Ms Fathy’s husband, his father Ishaq Ahmed and his brother Abdel-Moneim, the three men who Ms Thabet identified as stripping and beating her. Early on Nazir Ahmed had accused his wife of adultery but, according to lawyer Ihab Ramzy, this is a charge very difficult to prove. Anba Macarius, Bishop General of Minya, told Watani that the referral of the defendants to court has restored confidence in the government and the judiciary. “It is redeeming to the community at large; not only to the families of the victims or the to the Copts, that justice will be served,” he said. “I have repeatedly said that as long as the culprit gets away with his crime, all others are encouraged to follow in his footsteps and commit more crimes and assaults,” he commented. Anba Macarius explained that traditional conciliation sessions, the out-of-court settlements that force Copts into succumbing to oppressive agreements and relinquishing their legal rights, have failed miserably time and again. They moreover sent the negative message that the law would never be applied, and the culprits will always be able to escape justice.